Where did you grow up and what was your introduction to fishing? 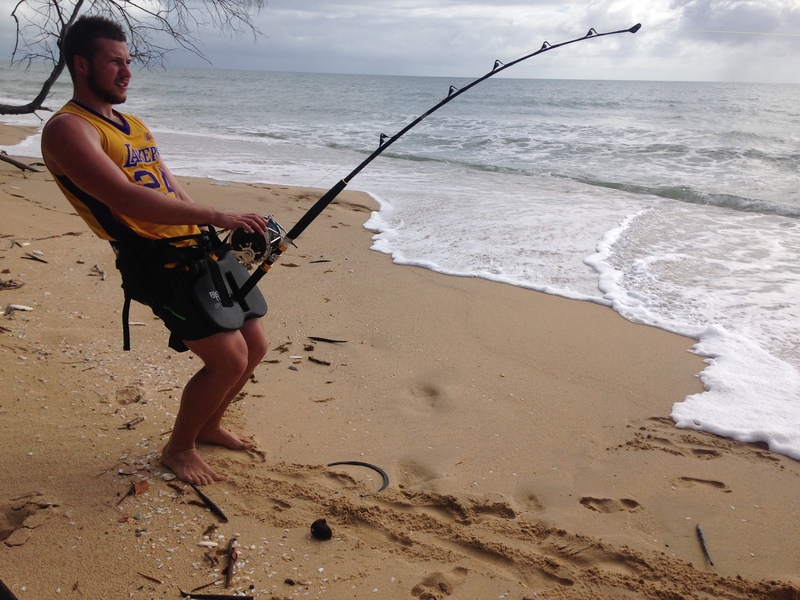 I grew up far North Queensland chasing edible reef fish off the Great Barrier Reef. I have always been in or around boats ever since being able to walk but always had a burning desire to see just how big a fish is possible to catch on rod and reel, rather than chase table fish so to speak. What is the fishing highlights of your locality? My locality is well known for it’s bream and flathead fishing, however I quickly outgrew them and always was seeking more of a challenge. How did your love of shark fishing begin? Natural progression I believe, always wanting more of an angling challenge, I quickly moved on from bream to flathead to eventually chasing jewfish before getting involved in land based game fishing for sharks. Ever since I caught My first one I realised it was the chase and fight that I had so long been hoping for. What shark species are available to you and what months of the year? The main sharks species available for me is the bullshark, which are present year around. Tiger sharks are a lot rarer as are hammerheads for me geographically. About 2 months before the tiger my mates and I caught and released a 10’2″ bullshark which to the best of our knowledge is one of the biggest bullsharks ever caught land based. What are the tactics and How do you tackle up for them? 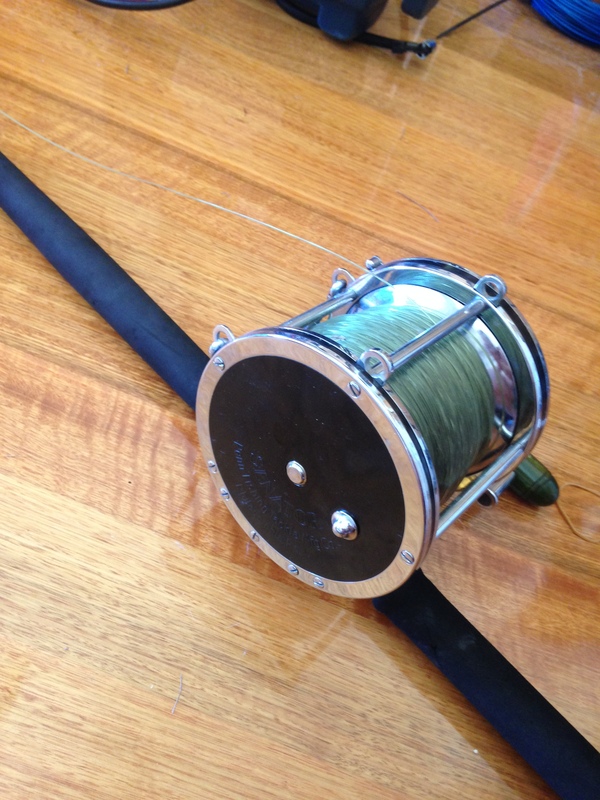 My tackle consists of a 80w Santiago matched to a 37kg short stroker stand up game rod, using 130lb mono. Using custom built 24/0 circle hooks, my trace is built from 4mm nylon coated wire. 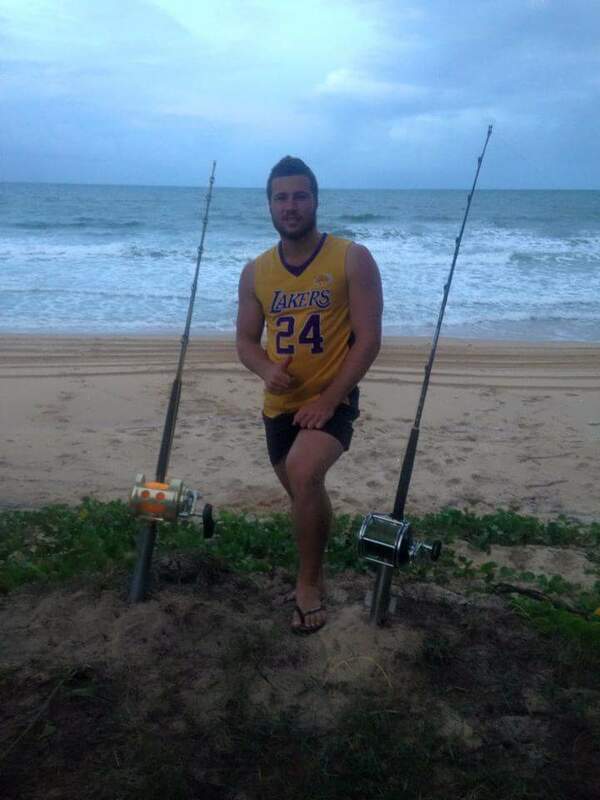 I use large baits such as tunas etc and kayak my bait out 3-400m and sit back on the beach and wait for the bite. I harness up using a black magic gimble and harness set and fight my sharks stand up style, all off the beach. What were your best catches over the years? My best catches over the years are the tiger which measured 12’6″ to the fork, putting it’s overall length between 14-15ft. 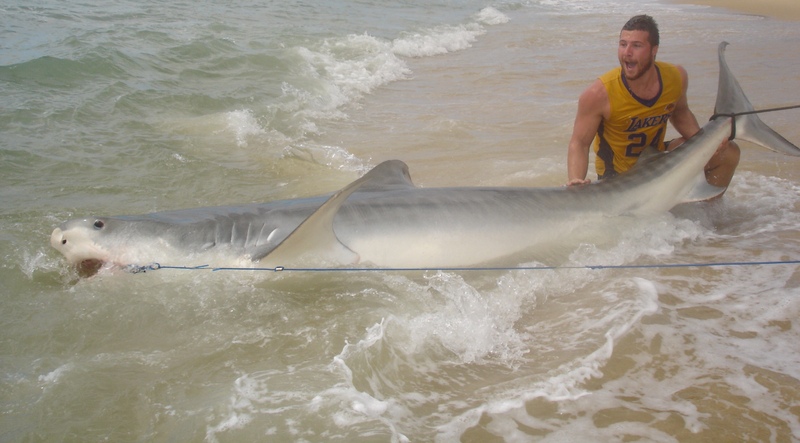 The 10’2″ bullshark was also a notable catch, and multiple 9′ sharks species such as bullsharks, lemon sharks and hammerhead sharks. 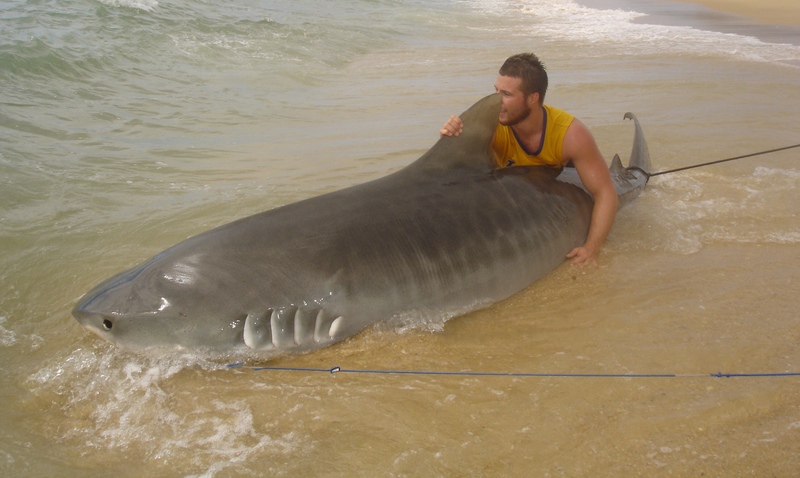 Can you tell us about the day of your enormous tiger shark catch? The day of the catch I had woken up at dawn, and still had my little bait in the water. 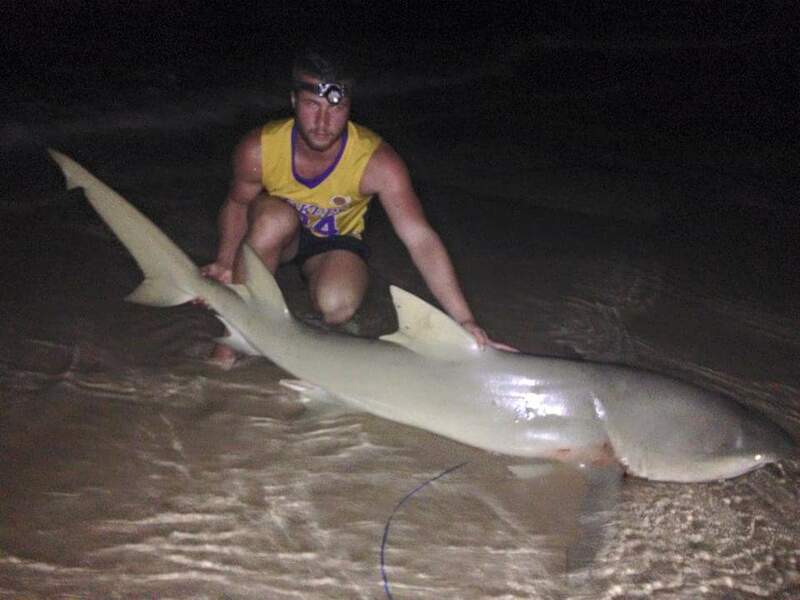 My big bait the previous night was picked up by a 8ft lemon shark which I successfully released. After eating a quick bowl of cereal, I was just about to pull a fresh bait out of my esky to redeploy a new bait, when the reel started to slowly tick over. I’ve harnessed up, and after making sure the shark had committed to the bait I drilled the hooks home and instantly knew it was something really good. 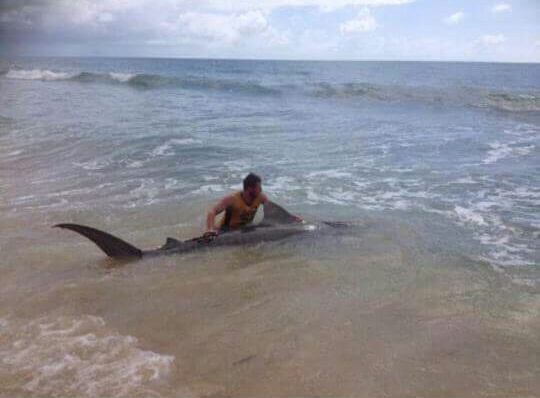 After the shark fishing can you go back to normal beach fishing? For the time being, there’s no way I could! 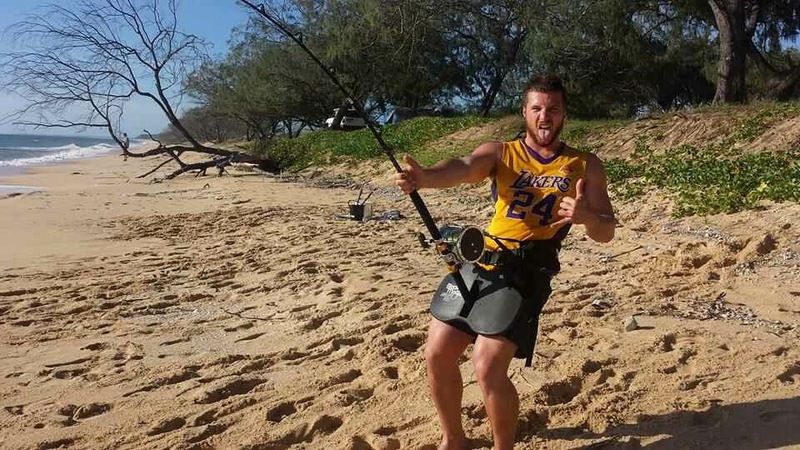 Perhaps when I age a bit, and can no longer stand up fish unassisted 30-40kg of drag I will resign from the shark fishing and go back to table fish. But for the time being, the adrenaline rush is just too incredible! Where else in the world would you like to fish and for what species? It’s is my dream to one day catch a marlin land based, or a grander boat based. In my eyes that would be incredible! After such a colossal catch, what will be your ambitions for the future? For the present time, I’m currently involved in a shark tagging expedition with a scientific research team, so I plan on gathering some excellent data for them. I would like to one day better my tiger shark, however it will be extremely hard to do so. 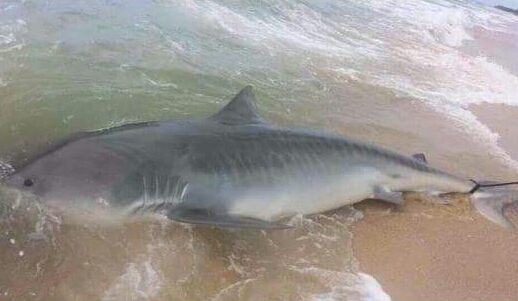 In terms of land based shark fishing, I would love to catch a big hammerhead, and better the bullshark that was landed a few months previously. This entry was posted in Interviews, Travel. Bookmark the permalink.